Republic Wireless to Offer Moto G for $149, Sans Contract - trendistic.com: ever tried. ever failed. no matter. try again. fail again. fail better. Republic Wireless, the upstart, low-cost carrier, is getting an upstart, low-cost phone: the Moto G.
Starting in April, Republic plans to offer an 8 GB Moto G for $149, without a contract. The 16GB version is also available for $179. The only other smartphone Republic currently offers, the Moto X, sells for $299. 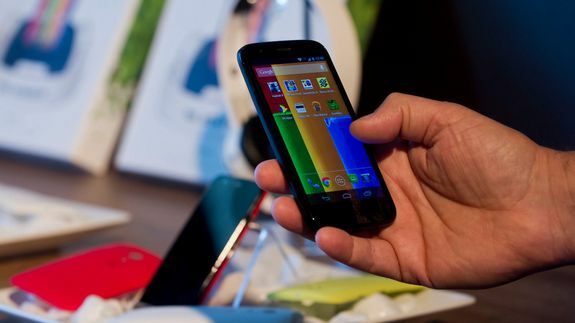 “The Moto G blows every other smartphone in the affordable category out of the water. We are super excited to add it to our line-up,” David Morken, co-founder and CEO of Republic Wireless, said in a press release.